Well firstly, let me start off by telling you i'm not entirely sure where this dress is actually from. I'm pretty certain i was sent to review it but i don't remember ever working with a company called Ravi Famous, and if i did it's not recorded. I personally thought i'd bought it from Camden Market but whatever. 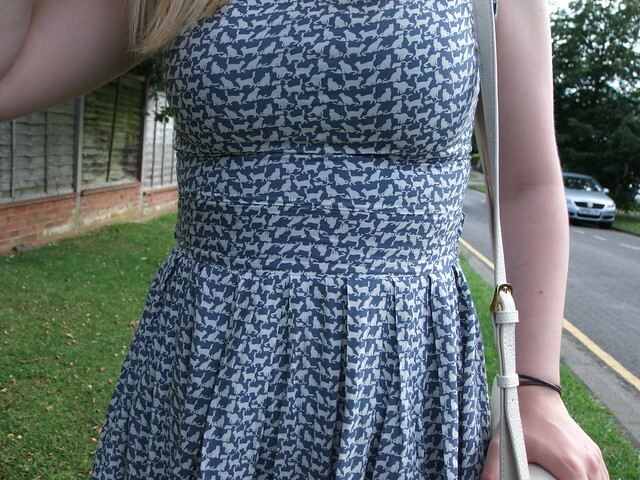 This dress is lovely, it's a perfect summer dress due to the way it sits and how the skirt blows in the wind. 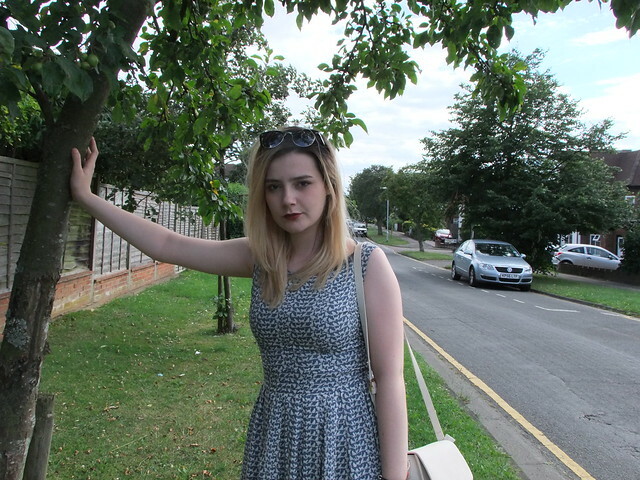 I love dresses like this, they've got a bit of an old fashion look about them, and for some reason i feel rather comfortable and confident in them. I'm a dress/skirt girl, give me them over jeans/trousers/shorts anyday! Something i love about this dress is the animal print that is has on it, cats to be precise. Well in my household we have 8 cats, (i know that's crazy! Blame my mum, she's a crazy cat woman!) so i have grown up loving cats, and this dress kind of represents that lol. The colouring of the bag matches the flip flops which were both sent to me to review. 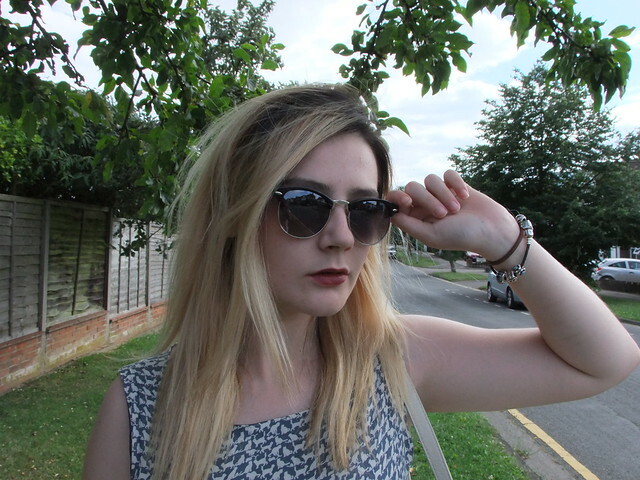 I was sent this stunning bag to review from LYDC through the lovelies over at etail PR. I chose this bag out of the many that there were to choose from. This one just stood out to me, the cream colour is really feminine and the slight hint of coral is a really nice touch. I think the colours really compliment eachother and together can make for a really smart, professional look, in this case with the bag. This is the type of bag that i would take to work or to an important event, it's got such a classic look to it which is always an eyecatcher, block colours normally are. The bag is accessible easily with a zip fastening once the flap has been lifted up. There is a pocket in there for your phone, an extra pocket and a zip pocket. There isn't loads of room in the bag, but there is more than enough for a purse, phone and keys. Such a cute dress. It's perfect for summer! This dress looks great :) I often forget where I got clothes from too, especially as I've got clothes I've never worn or have only worn once! This is such a cute dress! I love the cat prints, I didn't even notice at first! 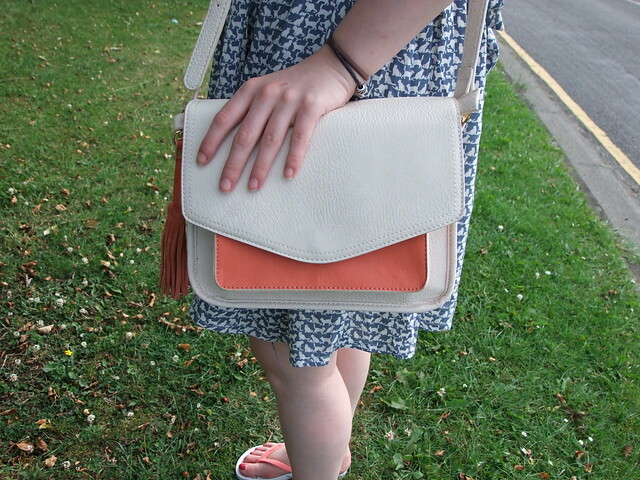 The bag is lovely too, I have a satchel that is a sort of peach orange all over and it's perfect for summer. ps. 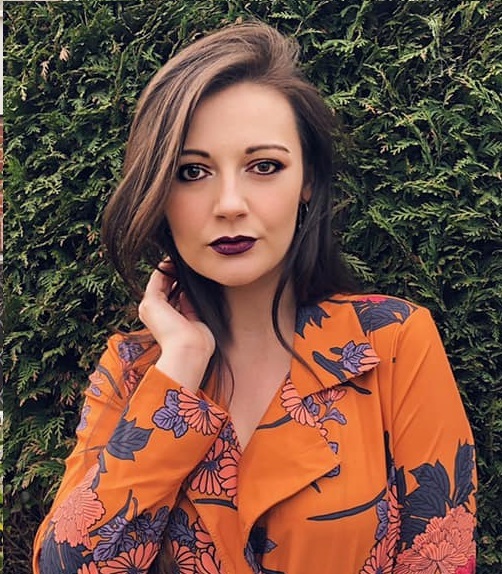 you can win a cute Dahlia trench in my little givaway! click here. You look stunning, love the print. Plus I need that bag, its such a good Celine copy!